WDSD awards are presented every 2 years at the World Down Syndrome Congress (WDSC). DSi announces all WDSD Awards on 21 March (WDSD) in the year preceding the next WDSC. The call for nominations is made prior to WDSD for a 3 month period up to 31 January. The DSi Board then makes their selection to be announced on 21 March. Awardees and those who nominate them will be notified 1-2 weeks prior to 21 March to allow time for preparation of media releases and including an announcement of their awards in local or national WDSD activities. In addition, we will also invite them to formally receive their awards at the next WDSC if they are planning to attend this event. 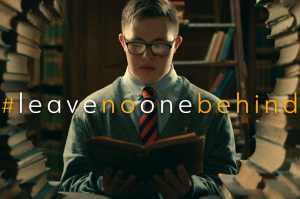 An individual, group or an organisation can nominate another individual, group or organisation whose voluntary, professional or scientific activities have improved quality of life for people with Down syndrome. Nominees must be nominated by an individual, group or organisation other than themselves. The nomination must be supported by 2 independent references including, if possible (but not compulsory), a national/world regional Down syndrome or disabled persons organisation. Referees cannot be members of, or professionally associated with, the same group or organisation. All nominations will be evaluated by the DSi Board of Trustees. The DSi Board may choose to award a number of nominees per category in any given year or may choose not to present any awards. Nominations are now closed for the 2019 WDSD Awards.